When the iPhone X launches on November 3, initial supply of the smartphone available to purchase could be limited to around 12 million units, according to Jeff Pu, an analyst at Taipei-based Yuanta Investment Consulting. Pu told Nikkei Asian Review that Foxconn likely manufactured around 2 million iPhone X devices in September. He said the number should increase to 10 million in October, and reach a total of 40 million by the end of the year, down from his original forecast of 45 million units earlier this year. If accurate, that means there would be just over 12 million iPhone X handsets available to purchase when the device launches in under six weeks. 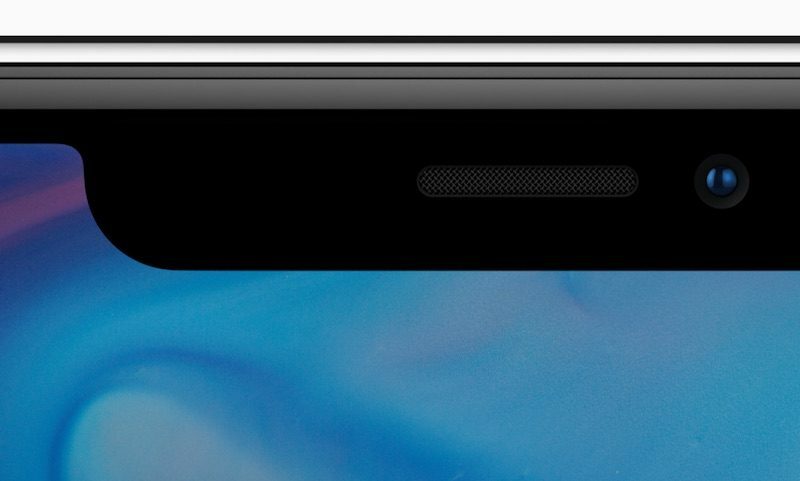 The report corroborates that the TrueDepth camera and facial recognition system is a major bottleneck for iPhone X production, as KGI Securities analyst Ming-Chi Kuo said in a research note earlier this week. Two executives working for iPhone suppliers told Nikkei Asian Review that 3-D sensor part makers are still struggling to reach a satisfactory level of output, and to boost their yield rate. This rate measures the number of usable or saleable units from a batch of components or final products produced. A low yield rate is likely to hurt a company's margins and bottom line. Reports about limited availability surrounding an iPhone launch surface every year, but rumors suggest the iPhone X might be even harder to get your hands on than a 256GB iPhone 7 Plus in Jet Black last year. Ok, 12 million doesn't sound as bad after all the talk about 10,000 units/day and multiple issues with manufacturing. Limit launch to the great United States of America only! The sensor housing is too ugly for me to order one. "Just" over 12 million units? For the 2017 iPhones I would have expected something like 15M for the first weekend, so 12M for the X and a few million iPhone 8 sales would probably add up to a number close to that. Of course the demand for the X may well exceed 12M at launch, but I don't see it as a catastrophic supply constraint that some seem to imply since the numbers seem to be in line with previous years. The question will be more about how fast they can replenish their stock supply after the launch. Wasn't Cook supposed to be supply channel expert? I'm not understanding why Apple continually has supply problems, though with the X, it seems more acute. Don’t worry MR, I will be sure to post how much I’m enjoying mine ! By the same token, its been rumored that they only started making the X recently, and given this is to be a flagship model, I would expect them to start the manufacturing process a lot sooner. Because of its size, Apple is unable to make disruptively innovative products in enough quantities to market them as mainstream. Cook should have realised that well before iPhone X planning and announcement. My assumption: several things went wrong in this particular product launch. - Abandoning touchID/home button wasn't a day 1 intention but merely induced by circumstances. A wild myriad of gestures now inconsistent with so many others, makes me suspect of some impromptu decision making. FaceID is promising but not outgrown enough to replace touchID. - Who would settle for a less than perfect camera/sensor placement solution (notch) that compromises the whole UI - with all sorts of complications that could have easily be prevented by means of more elegant solutions. As a whole, the iPhone X (as far as known yet) resembles much of the 40th anniversary Mac - that didn't get mainstream and actually never became more than a pilot project. Hence, this time with billions of orders the gamble factor is much higher - if not over the top. FIX IT APPLE. FIX IT. They should just limit the launch countries if they are really that short. Might as well improve the experience than have 3-4 week delays right at midnight.